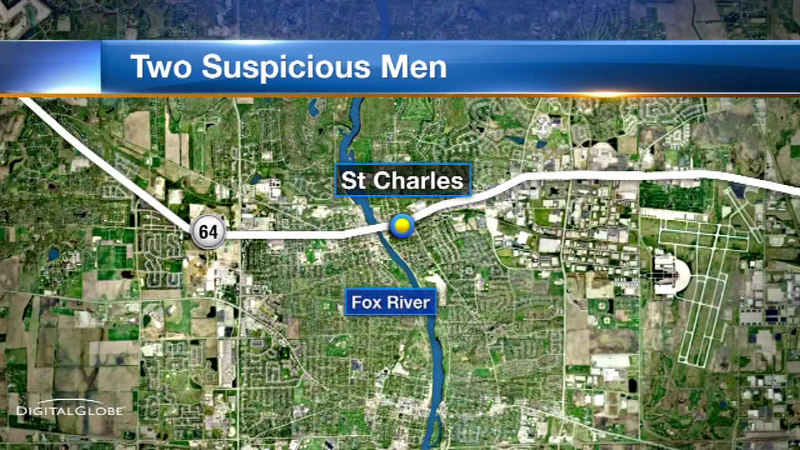 ST. CHARLES, Ill. (WLS) -- Police are warning parents and children in St. Charles after two men tried to lure a child into their truck. Police say the incident happened Tuesday afternoon in the Harvest Hills Park neighborhood. Police say two young Hispanic men in a newer model red pickup asked an 8-year-old girl to get into their truck. The girl got away safely but police say it is believed the same pickup was spotted again Thursday in the same area.